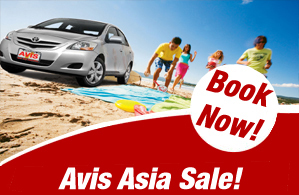 Avis was recently recognized by travel professionals around the world for the 5th consecutive year as "Asia's Leading Car Hire". Guam is a beautiful tropical island that amazes all that visit it. Not only is the island one of popular vacation destinations in Asia Pacific, but it is also the only US destination in Asia-Pacific.